1. Florio G, Silvestro C, Polito DS. Periumbilical veress needle pneumoperitoneum: technique and results in 2126 cases. Chir Ital 2003; 55(1):51-54. 2. Barwijuk AJ, Jakubiak T, Dziag R. Use of the Hasson technique for creating pneumoperitoneum in laparoscopic surgery. Ginekol Pol 2004; 75(1):35-38. 3. Gill IS, Rassweiler JJ. 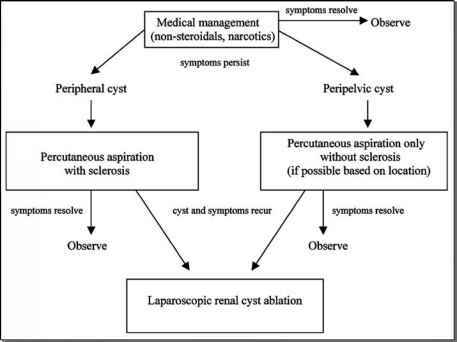 Retroperitoneoscopic renal surgery: our approach. Urology 1999; 54(4):734-738. 4. Todorov G, Baev S, Velev G. Dissection with an ultrasonic dissector during laparoscopic cholecystectomy. Khirurgiia (Sofiia) 1997; 50(2):43-44. 5. Romano F, Caprotti R, Franciosi C, et al. The use of LigaSure during pediatric laparoscopic splenectomy: a preliminary report. Pediatr Surg Int 2003; 19(11):721-724. 6. Landman J, Kerbl K, Rehman J, et al. Evaluation of a vessel sealing system, bipolar electrosurgery, harmonic scalpel, titanium clips, endoscopic gastrointestinal anastomosis vascular staples and sutures for arterial and venous ligation in a porcine model. J Urol 2003; 169:697-700. 7. Kwon AH, Matsui Y, Inui H, Imamura A, Kamiyama Y. Laparoscopic treatment using an argon beam coagulator for nonparasitic liver cysts. Am J Surg 2003; 185(3):273-277. 8. Eswar C, Badillo FL. Vascular control of the renal pedicle using the hem-o-lok polymer ligating clip in 50 consecutive hand-assisted laparoscopic nephrectomies. J Endourol 2004; 18(5):459-461. 9. Matin SF. Prospective randomized trial of skin adhesive versus sutures for closure of 217 laparo-scopic port site incisions. J Am Coll Surg 2003; 196(6):845-853. 10. Gill IS, Kerbl K, Meraney AM, Clayman RV. Campbell's Urology. 8th ed. 3471-3473. 11. Carter JE. A new technique of fascial closure for laparoscopic incisions. J Laparoendosc Surg 1994; 4:143-148. 12. Elashry OM, Wolf JS Jr., Nakada SY, et al. Comparative clinical study of port closure techniques following laparoscopic surgery. J Am Coll Surg 1996; 183:335-344. 13. Garzotto MG, Newman RC, Cohen MS, et al. Closure of laparoscopic trocar sites using a spring-loaded needle. J Urol 1995; 45:310-312. 14. Leighton TA, Liu SY, Bongard FS. Comparative cardiopulmonary effects of carbon dioxide versus helium pneumoperitoneum. Surgery 1993; 113:527-531.